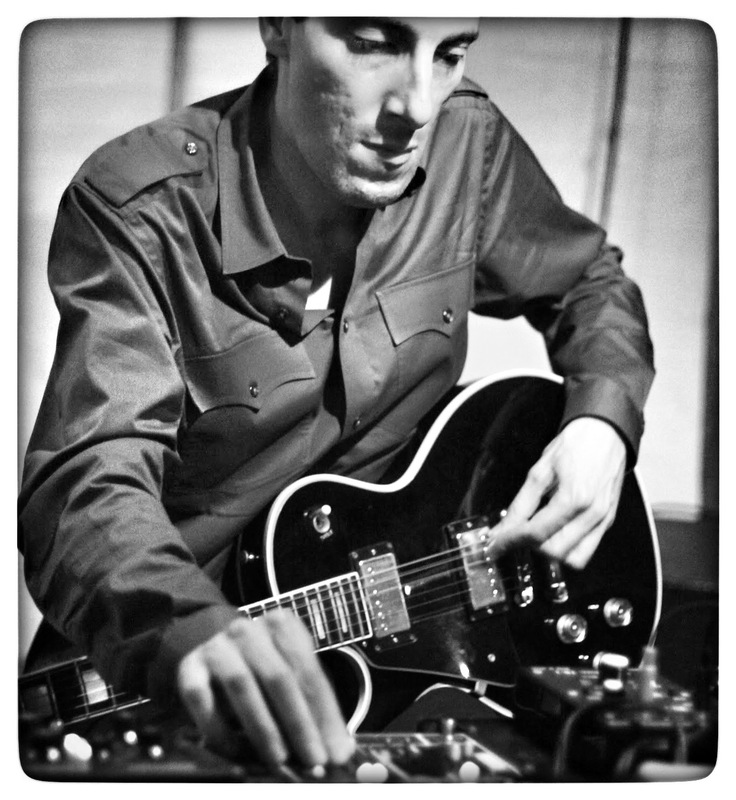 From the late 90's his experiments in guitar abstraction and extended technique have led to a more personal and unique sound-world incorporating a broader palette of instruments and sensibilities. On releases such as Grapes From The Estate and In The Pendulum's Embrace Ambarchi employed glass harmonica, strings, bells, piano, drums and percussion, creating fragile textures as light as air which tenuously coexist with the deep, wall-shaking bass tones derived from his guitar. 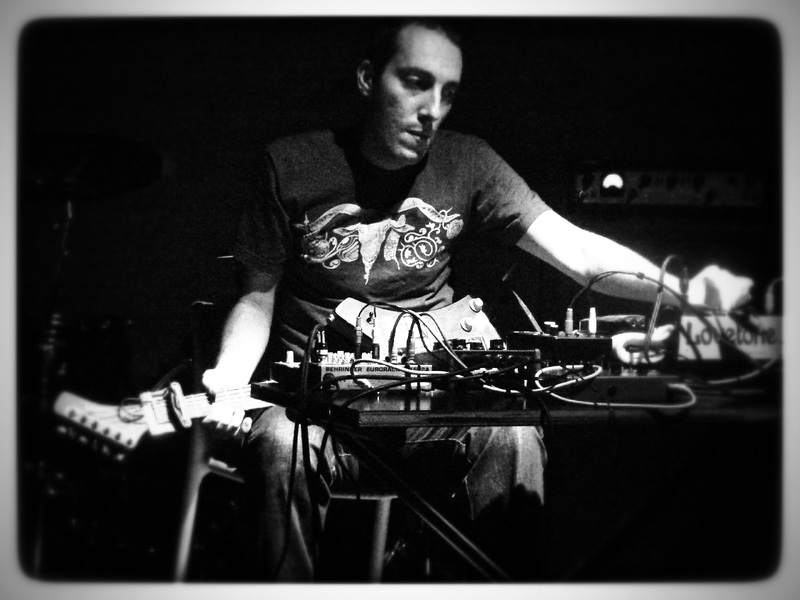 Ambarchi has performed and recorded with a diverse array of artists such as Fennesz, Charlemagne Palestine, Thomas Brinkmann, Keiji Haino, Alvin Lucier, John Zorn, Merzbow, Jim O'Rourke, Keith Rowe, Phill Niblock, John Tilbury, Sunn 0))), Evan Parker, Akio Suzuki and many more. 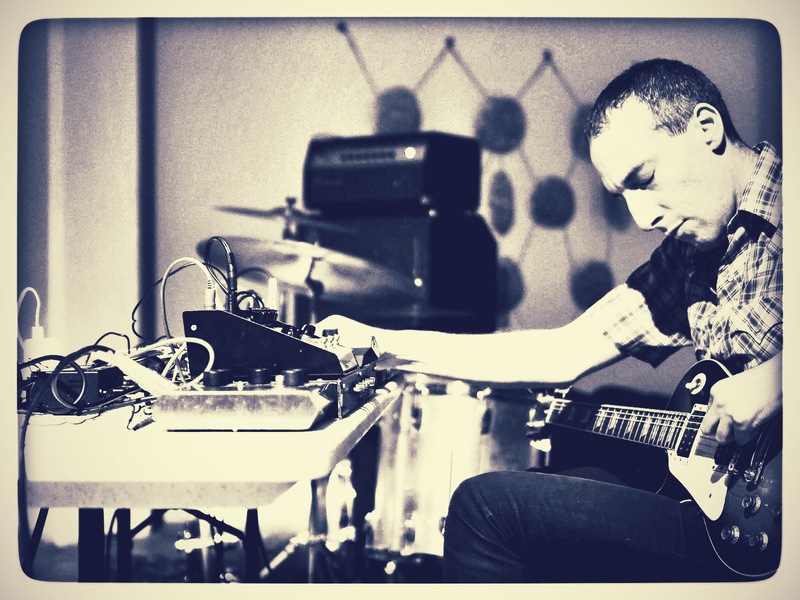 Ambarchi has released numerous recordings for labels such as Touch, Editions Mego, Black Truffle, Kranky, Drag City, Southern Lord and Tzadik. What do you remember about your first instrument? I remember banging on pots and pans along with my favourite records when I was quite young. Around the age of 7 I begged my parents for a drum set but they attempted to deflect this request by making a 'deal' whereby I had to have piano lessons for at least a year before they would consider my request. I duly followed their orders but when the year was over I continued to pester them until they finally relented and purchased a cheap drum set. From that day on I obsessively played along with records whilst alternatively making crude cut up recordings on a double-tape recorder of short wave radio sounds. The guitar came much much later, when I was around age 22. Music is like food or oxygen for me, I simply need it to survive. Which is the main pleasure of the guitar? What is the main limitation of the guitar? Which work of your own are you most surprised about, and why? It would be hard to pick an individual work. I do live for those 'eureka' moments in the studio when after the usual self-doubt and struggle somehow everything falls into place and you hit on something that is unexpected and a big development from your previous work. That feeling is quite addictive. There's so many! I grew up listening to records by Led Zep, Hendrix, Pink Floyd, the Beatles, various ethnic musics etc which in my early teens led to ECM records, free jazz, experimental electronic music, noise etc etc. How do you experience time in music? How do you experiment with time in your compositions? For the past few years I seem to be making long-form pieces that take a long time to unfold. I've always loved listening to pieces that draw me in to a particular sound world where I lose my sense of time - the idea of "music as time". Technique is probably important for some people but if I had technical prowess on the guitar, I wouldn't be doing what I do. "Coryell played all over the place for about ten minutes racing up and down the fret-board and Jimi steps up for his solo and went 'ba-WO-O-O-OWWWW' erasing everything he did in the last ten minutes with one note.....it was silly for him to even try, like walking into a blowtorch.....the fool"
Signal me one musical work which has provoked a change in your music. Seeing Keiji Haino live in New York in 1991 changed everything for me. Here was someone who seemed to come from another planet who was emanating sounds that were so unique and so utterly personal. It went beyond the instrument or technique. It was simply beyond. It made me re-think everything about music and I decided to play the guitar from that moment on. Another big one was getting the 7" of 10cc's "I'm not in love" when I was 6. I've just completed a new record for Editions Mego that I've been working on for the past 2 years. It's a continuous 48 minute piece that has many guests including John Tilbury, Thomas Brinkmann, Jim O'Rourke, Crys Cole, Eyvind Kang, U-zhaan, Ilan Volkov and the Icelandic Symphony Orchestra. Additionally there are quite a few collaborative releases coming out in the next few months. I'm currently in the midst of a long tour and next week I'll be playing some North American shows with the Nazoranai project (Keiji Haino on guitar/vocals, Stephen O'Malley on bass and Ambarchi on drums). 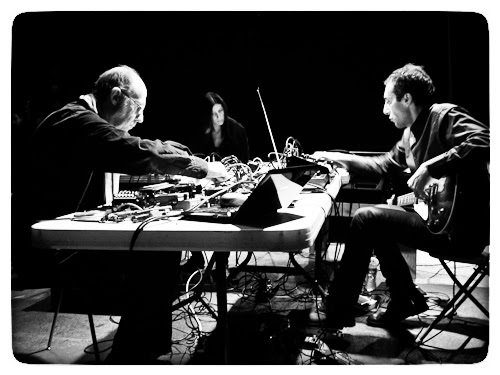 After that Stephen and I will be premiering some guitar pieces written for us by composers Alvin Lucier and Iancu Dumitrescu. In June I'll be at Sonar festival in Barcelona presenting my piece 'Knots' along with Joe Talia, Eyvind Kang, Crys Cole and the Krakow Sinfonietta.